It is that time of the year, pumpkins (and pumpkin drinks), leaves, and of course, Halloween. So I thought I would whip up a concoction of spine tingling reads, a variety of chills for whatever your horror mood is. On this list you’ll find classics and new books, vampires and ghosts (but no zombies; I just did them), books for the young and the old, famous authors (and their children) and not so well known ones, bloody scares and psychological ones, and plenty more. Put on your pointy hat, get your skeletons out of the closet, and read ahead if you dare. Just make sure to leave the light on. The cover is deceptively cheery. H.P. Lovecraft is one of the masters of horror. This book reads to me much like Lovecraft. The protagonist (only referred to as “the biologist”) is part of a government sponsored expedition into mysterious Area X. It is the 12th such group to enter, following in the footsteps of 11 failed ones. They quickly find that things are more mysterious than they could have ever guessed, as reality itself seems to change, and our heroine slowly reveals her own secrets. Looks like the perfect spot for filming. The Blair Witch Project introduced the mainstream to a film genre known as “found footage“. These tend to be horror films, such as the Paranormal Activity franchise. 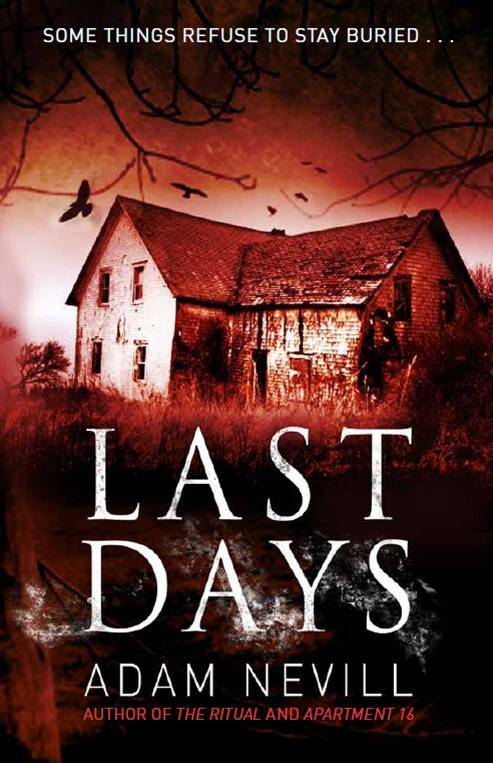 Last Days looks to capture that feel in print. Documentary filmmaker Kyle Freeman is hired to do a movie about a notorious 1970s cult known as the Temple of the Last Days. As he retraces their troubled past he starts seeing unsettling and impossible things on his recordings. And he soon finds that escaping this evil is much harder than just turning off his camera. It costs an extra $30 to personalize your plates in North Carolina. 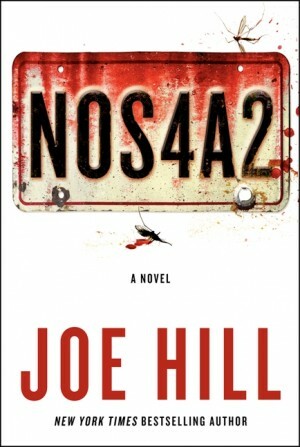 For those, like me, who have trouble figuring out what those clever personalized license plates are supposed to mean, NOS4A2 equals Nosferatu. And indeed, the villain in this excellent book, Charles Talent Manx, has some similarities to the Nosferatu of film fame. Joe Hill, by the way, is the son of Stephen and Tabitha King. His writing certainly lives up to the lofty standards set by his parents. Manx travels around in his Rolls-Royce Wraith abducting children. One these kids, Victoria McQueen, escapes his clutches, although at a heavy price. Years later Manx is on the prowl again, and Vic once again finds herself caught up in his diabolical machinations, fighting against an enemy that is much more than just a man. And they say comic books are for kids. First off let me point out that this volume collects issues #9-16 of The Sandman comic book. Preludes and Nocturnes, the preceding volume, is a great read, has plenty of scary moments, and lays the background, but I put The Doll’s House on this list because it is, to me, more of a horror read. 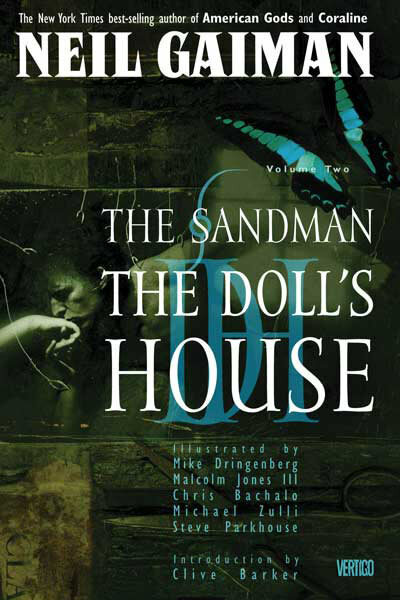 You can read more of what I have to say about The Sandman and graphic novels in general here. We have in here trappings of a ghost story, with strange inhabitants of a boarding house; we have mystical figures with Dream and his siblings; we have a convention of serial killers; and we have The Corinthian, a nightmare come to life. Just hope that he doesn’t take off his sunglasses. 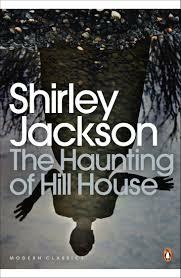 The Haunting of Hill House was published in 1959, and has been made into two feature films (the 1963 version is scary; the 1999 one…not so much, although it does have Liam Neeson not killing everything in sight and Owen Wilson getting decapitated). But the story is not dated. In the book a paranormal investigator invites several guests to stay with him in an old creepy mansion. Right on cue supernatural shenanigans start occurring. Or do they? They mostly center around Eleanor, and Jackson does a wondrous job of raising the sense of terror without us ever really getting a good look, if you will, of any ghosts. It becomes difficult to tell what is real and what is in the minds of the characters. Spoiler alert: you are still left wondering at the end. I’m desperate for people to read this book. You could write books about the books Mr. King has written. Plenty of book lists have The Stand or The Shining or It on them. I decided to talk about one of his other books. A family driving cross-country is pulled over by the police in the little town of Desperation, Nevada. They soon learn that the policeman isn’t just homicidal, but the vessel for a much greater evil. They have only a short time to desperately escape Desperation. King does what he does so well in this one, foreshadowing bad things to come. 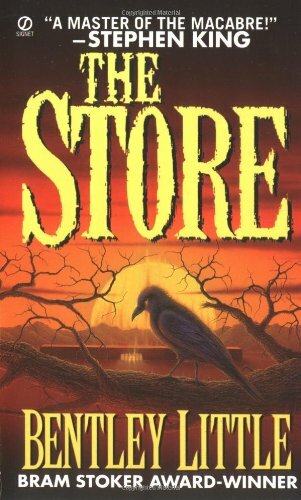 But what really elevates Desperation is the companion novel The Regulators, written under his Richard Bachman pseudonym. The Regulators is a mirror of Desperation, set in Ohio, with many of the same characters but in different roles, such as the children in one book being the parents in the other. You can read either one first. There was a TV movie made of Desperation, but I haven’t seen it. Let me know if it is any good. Fall is the season for soup. 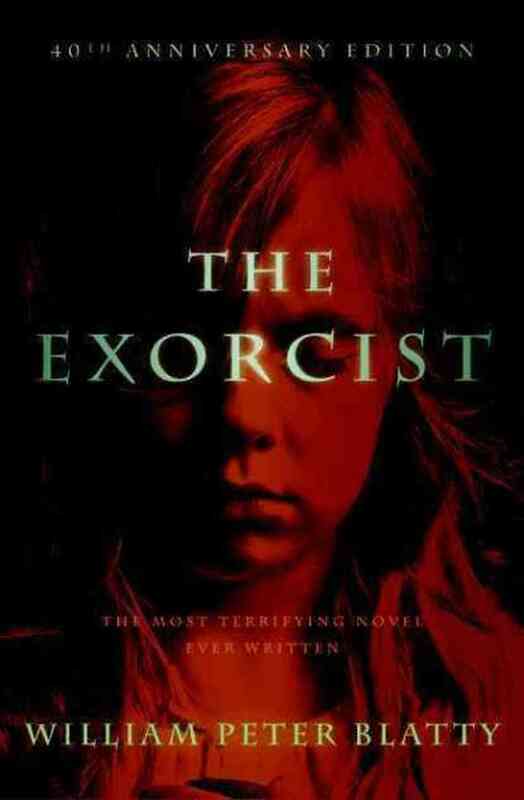 The Exorcist is widely regarded as one of the scariest movies ever made. How scary is the book? First off it was the basis for the movie (duh), and secondly it is based on an actual exorcism performed in 1949. Make no mistake, this is a work of fiction, but Blatty did his research and presents a chillingly realistic tale. Blatty also wrote the screenplay for the movie, and for other movies as well. He needs to return some videotapes. 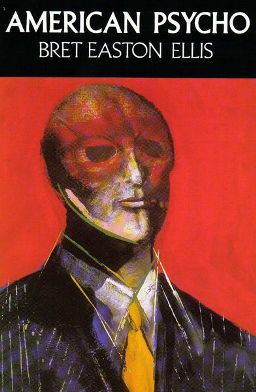 Full disclaimer here: American Psycho is one messed up book. It is certainly the most extreme title on this list. You will need a strong stomach to finish it. The depictions of violence against women (and men) in this book are severe. But that is not what this book is all about. Patrick Bateman is an investment banker in the late 80s, living the life of women and drugs and money. He is also an insane killer. He shows as much pleasure in shiny new business cards as he does in dismembering people. As the story progresses more and more bizarre things occur, such as Bateman arguing with a dry cleaner about their inability to get blood stains off his suits, and interludes that are in depth reviews of the works of Whitney Houston and Phil Collins. In the end you can’t be sure how much of what Bateman tells us is real and how much is in his mind. Either option is terrifying. This book is quite controversial. A neat bit of trivia is that Gloria Steinem, who was very opposed to the release of the book, is the stepmother of Christian Bale, who plays Bateman in the well done film version. Set in southern Appalachia, the tiny town of Winshake is home to moonshiners, loggers, and trailer parks. It is also the new home of something…else. Something that crashed into the mountains and that now needs to feed. Tamara Leon, a local teacher, finds herself caught up in the fight to discover, and defeat, the invader. The Harvest is filled with fully fleshed out characters, bringing a level of realism that makes this book that much more scarier, especially for mountain folk. Innocence was described to me as “Rosemary’s Baby, with vampires”. Sold! Fourteen year old Beckett has a hard enough time in life. Her mother dies in an accident, she is sent to a new school, etc etc a lot of teen drama. But then the strange starts. Girls at school follow through on their suicide pacts and kill themselves. She has nightmares, devastating nightmares beyond the norm. And is that frozen blood in the freezer? 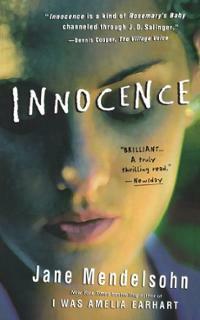 Innocence melds teen angst, pop culture, and critique of teen entitlement marvelously. It does not have yellow bricks. Okay, so The Road doesn’t have any ghosts, or zombies, or vampires, or aliens, or clowns. It has a man and his son, walking on a road. Big deal, right? Well the road is pretty dirty… There has been some type of cataclysm, perhaps nuclear. Most life is gone, and the oncoming winter promises to be lethal. The pair are heading south as quickly as they can, avoiding the predators that lurk about, men and women who will do anything to survive, namely by eating people. This is a sparse harrowing tale of a world nearing its end. A great example of a different way to give readers chills. They shine for a reason. Harper Curtis was nothing much until he found that key. The key that opened up a house that lets him time travel! But there is a cost. Harper is now compelled to track down the shining girls and to murder them. Kirby Mazrachi was the one who got away. And now she is hunting him. 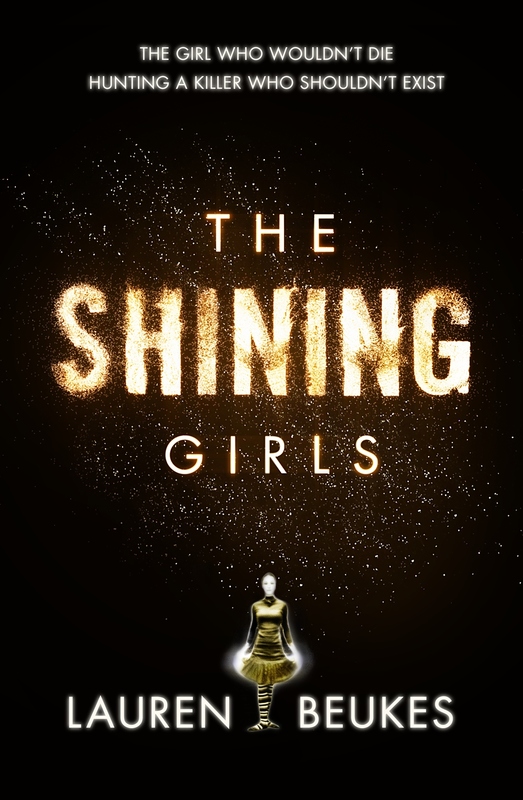 The Shining Girls is as much thriller as horror novel, a surreal genre-bending mystery, and a book that will have readers hunting down Beukes’ other works. Many things can cut us. There are plenty of other books that probably fit the serial killer spot on this list better (The Silence of the Lambs, anybody? 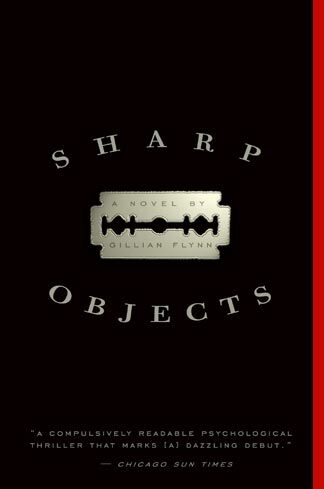 ), but Flynn’s debut novel is too good to leave off. With the movie of Flynn’s wonderful bestseller Gone Girl out here’s hoping this one gets some more attention. Camille Preaker is a newspaper journalist in Chicago who is sent to the tiny southern town of Wind Gap to report on the killings of two girls. Straightforward enough. Of course Camille is sent because she is from Wind Gap. Her mother owns much of the town. Her half sister is at turns loving and manipulative. Camille focuses on herself so much, dealing with her family, drinking heavily, resisting cutting more words into herself, that the horrors lying under the surface creep up unnoticed. 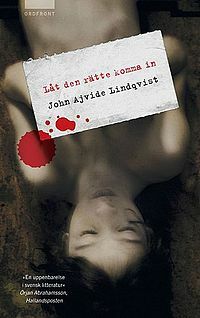 The Swedish cover, because I can. On the surface this seems like a teen book. It isn’t. 12 year old Oskar is bullied at school and comes from a broken home. When Eli moves in next door, things start to change. Because Eli is a vampire. She helps Oskar deal with the bullies and other issues, and they become close. But being a vampire isn’t easy, and not everyone gets a happy ending. This Swedish novel competently tackles many issues, such as bullying, alcoholism, and paedophilia, in addition to being a cracking good vampire story. There have been two film versions, a Swedish one and an American one (titled Let Me In, and set in New Mexico), and both are worth a watch. Lord of the Flies? Really? In a horror blog? 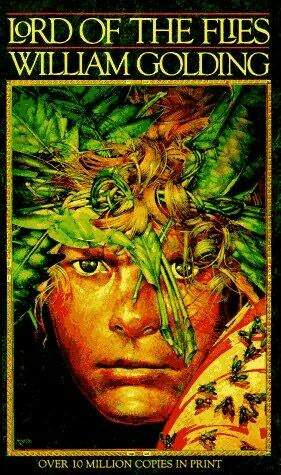 Long before we had children killing each other for sport in The Hunger Games, we had Lord of the Flies. And this book is scary. Many of us read it in school and perhaps our young minds didn’t fully appreciate it. These kids turn savage. It is shocking how quickly the little society they are forced to form turns bad. I read it twice in school, in 8th and 12th grade. My 12th grade teacher was incensed that 8th graders were given this book to read. 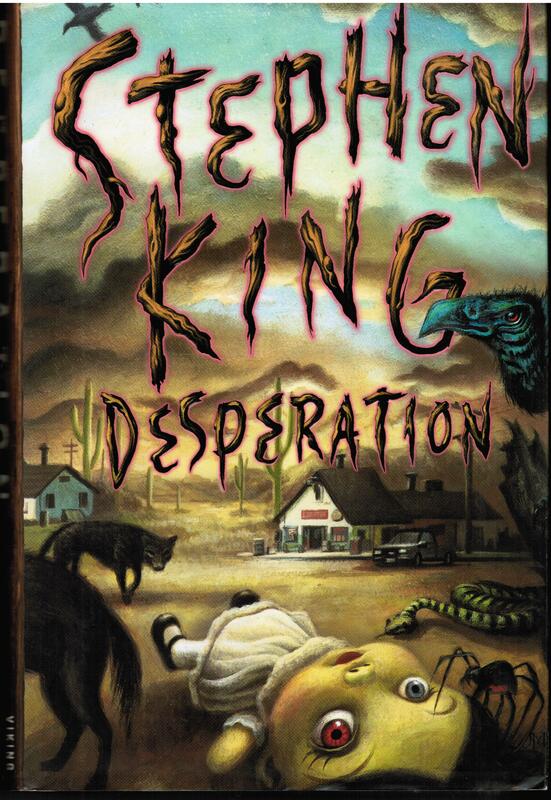 Pretty sure Stephen King read this in school as well. Where do you think Castle Rock comes from? What things make children feel safe? I would say two of the biggest things are home and mother. Coraline turns this on its head. Coraline’s parents move with her out to the country, renting a flat in an old house filled with eccentric neighbors. While exploring Coraline finds her way into a mirror world, where her “other mother” dotes on her and everything seems wonderful. The fact that her other mother and other father have buttons for eyes is the first clue that things are not so wonderful after all. 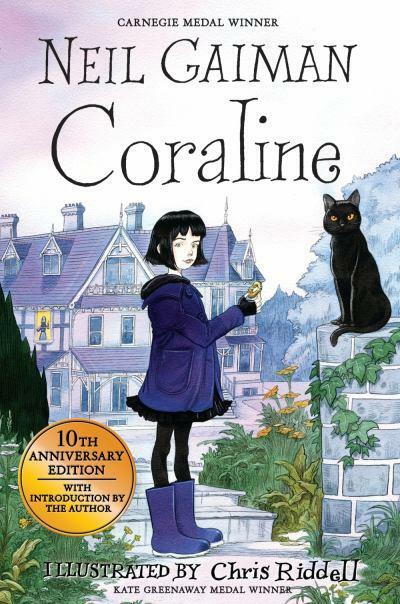 Recommended for ages 8-12, Coraline is a good read for adults as well. The movie is a stop-motion masterpiece. You are to be seen and not heard. Another entry on the list without monsters lurking in the shadows. In the not too distant future the United States government had been overthrown and a theocracy has taken its place. With sterility common due to rampant pollution and disease, high ranking members of the ruling Sons of Jacob utilize the services of Handmaidens, who are essentially concubines. Offred, the heroine of our story, is one of these Handmaidens. 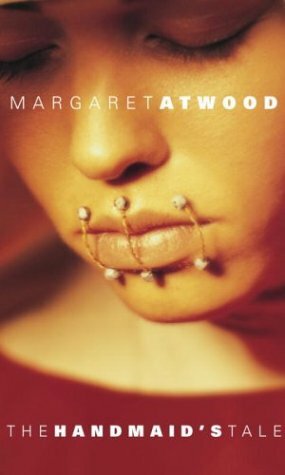 Offred, a college student before the revolution, gives us an inside view of this new society, and we see that many talk the talk of their religion but do not walk the walk. Scary in its plausibility, and in the fear of the loss of freedoms. Similar in tone is When She Woke, by Hillary Jordan, that is more contemporary and focuses closely on reproductive rights. We are all familiar with the tales of those big box stores coming to town and forcing the small local shops out of business. But what if that big store wanted more than just profits? What if the Store wanted everything, including our lives and souls? 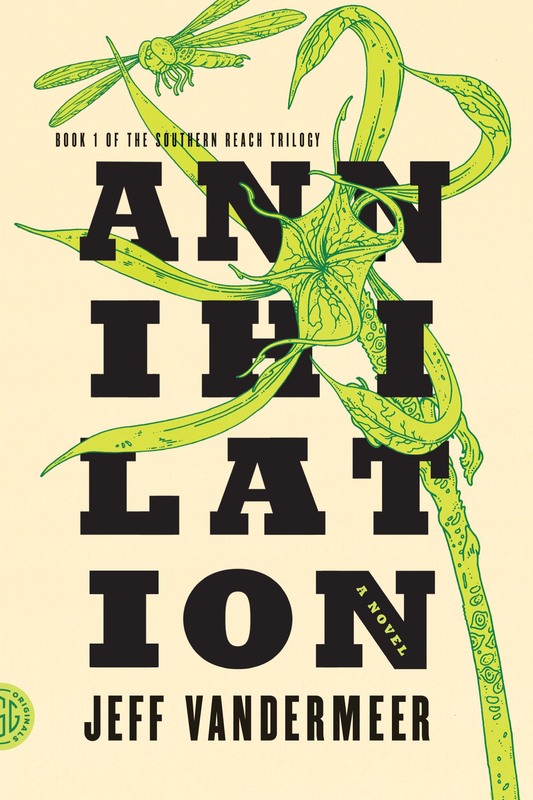 Little, an accomplished horror writer, takes a strained premise and turns it into a smart and scary read. The good writers make us believe in the unbelievable, and that is the case here. Because nothing bad ever happens at creepy abandoned places. 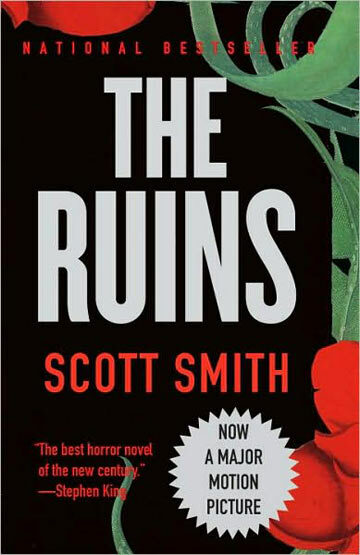 While researching this blog I looked at lots of lists of best horror books, and The Ruins was one that showed up on an awful lot of them. I haven’t read it yet, but I am taking the recommendations of fellow horror fans and putting it on my list of books to read. I also haven’t seen the movie, but I understand that they changed the ending. Seems to me that if you can’t find a good read in that list for those dark and stormy nights then maybe horror is not for you. Let me know what you think of this list, and share your own recommendations for scary reads. ‘The Haunting’ 1963 version is our family’s favorite spooky movie! There ought to be some copies available at the libraries here. I haven’t checked yet – maybe there are some. Good choice of movies! The Haunting is on our DVD shelf too. It will surely get another viewing during our October scary movie fests. I’m not one to ready scary stories, but I found I have read several of these and do realize just how creepy they really are. One of my favorites to read that is terrifying each time I read it is “Frankenstein” by Mary Shelley. I mean, mad scientist creates a monster that comes back to haunt him and takes away everything dear to him as revenge for creating him. Gives me the shivers thinking about it, but yet, I love it each time! I have read it many times! 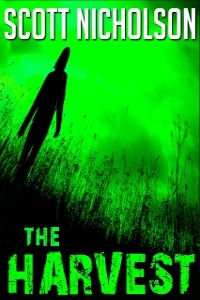 “The Ruins” really was a very scary read. That is good to hear. Normally I don’t write about books I haven’t read, but I included it simply because I saw it on so many other peoples lists. 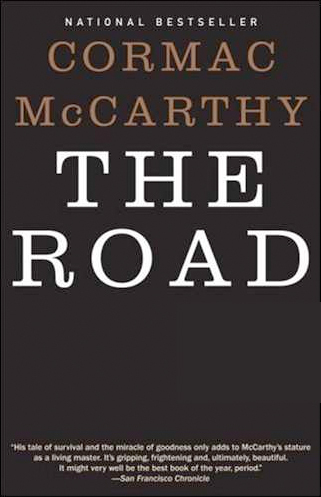 It is next on my list to read.